Sukkat Shalom, Samaritan’s Jewish Hospice program in South NJ provides a very special kind of care and support for all Jewish people living with serious illness when a cure is not possible. Our mission is to bring a Sukkat Shalom – a Shelter of Peace – to our patients and their families by providing comfort, dignity and quality of life in the spirit of Chesed Shel Emet, eternal loving and compassionate kindness. 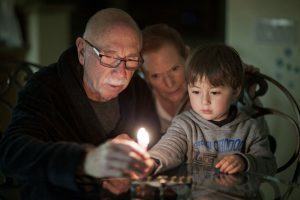 Samaritan’s Jewish Hospice Care program was created more than 18 years ago in coordination with the Samost Jewish Family and Children’s Service of Southern New Jersey to ensure that no Jewish person is ever alone when facing serious illness. 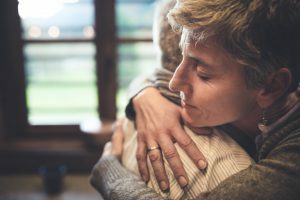 Samaritan of South New Jersey offers a team approach to end-of-life care with an emphasis on reverence for the sacredness of life with sensitivity for Jewish traditions, rituals, and customs. Questions about Samaritan’s Jewish hospice services? Rabbi Richard Simon joins our hospice chaplains in providing spiritual comfort to patients and their families. Rabbi Simon is available to consult with other members of the Jewish hospice team to help assure culturally sensitive care with respect and dignity for all those we serve. Upon request Rabbi Simon and other Samaritan chaplains consult with clergy from local synagogues to support our patients and their families. In bringing Sukkat Shalom, we strive to instill Tikvah – the hope to live each day to the fullest, with comfort and dignity, free of pain, and surrounded by loved ones wherever they call home. “…there was the challah and candles every week. Since mom couldn’t eat, it was fun seeing who got the challah. She loved giving it to Miriam [CHHA].” – Marcy K.